Looking to expand living space in your Nashville/Brentwood area home but are out of options within your walls? Why not look outside, instead? Franklin Fence and Deck can customize a new deck to fit your style and budget! Building a deck can be a smart way for property owners to maintain or even improve their home’s value. After all, it is less expensive than building an additional room, but still enables homeowners to expand their living space! A recent survey conducted by Remodeling Cost vs. Value Report found that more than 85% of the cost of building a wooden deck could be recouped during resale! That’s even more than what you could get from a bathroom remodel. If you’re building outside (like a deck), it’s going to be less expensive. Building an outdoor living space is the most affordable way to expand your home. 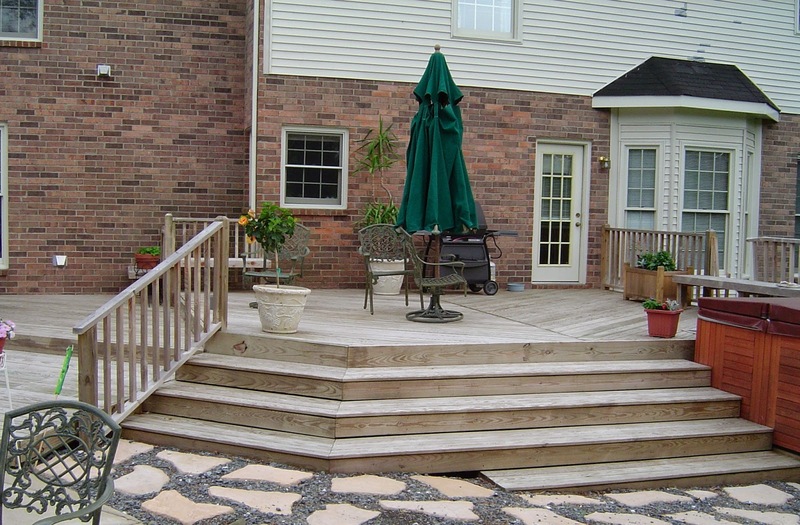 Building a new deck can give you endless possibilities! You can add built-in furniture, a fire pit, TV, a bar, and the list goes on and on. I don’t know about you, but to me, there is nothing better than sitting outside on a nice patio/deck with a drink in hand relaxing. If you’d like to explore the possibility of adding a stylish, quality deck to your property, let Franklin Fence and Deck help guide you through the process of designing, ordering and installing your new outdoor living space. We have been helping greater Nashville and Middle TN home and business owners transform the exteriors of their properties for 28 years. We are the largest, and the most experienced, fence and deck contractor in the area. Franklin Fence and Deck can build your dream deck – whether you are looking for a small space for pets or a large space for entertaining guests! Call us today at 615-790-8428 for your estimate! Make sure to visit us HERE for our special offers and discounts. Also, “Like” us on Facebook!